Click here to see the Best Reflex Sights available in 2017! A reflex or reflector sight is an optical tool that enables marksmen and gun owners to look through a glass element that partially reflects in order to see an illuminated projection of an image (such as an aiming point) that’s superimposed over your field of view. This device is able to do this through the straightforward optical phenomenon wherein anything at the focus of a curved mirror or lens (like, say, an illuminated crosshair or reticle) will look like it’s right in front of the one viewing it at infinity. You use two buttons in order to operate the truly lightweight Razor Red Dot of Vortex (it only weighs 1.4 ounces). The button for the up arrow powers up the device while the down arrow button powers it off if you were to press it for five seconds before letting go. You can avail of models with 3 MOA to 6 MOA if you wish. Meanwhile, it’s the red-dot reticle that can have its illumination adjusted by the same two buttons in a manual fashion. Like with the Leupold Delta 2, the CR2032 battery life for the Razor lasts for about one year. The Vortex Razor Red Dot is the best reflex sight for ar 15. It has a power saving mechanism or failsafe on it included; if for six hours you leave it on and you’ve forgotten to turn it off, it will turn itself off for you. The Vortex Razor, as simple as its setup is and as non-automatic as it is compared to more advanced options in this list, represents the next stage in the evolution of handgun sights that, ironically enough, is using technology from the last century or so. The reflex sight has been around since the 1900s yet unlike the zeppelin or the Model-T, it has found a way to make its old-timey reflective sight tech work in the 21st Century. You can use it with eyes open because the illuminated aiming point remains in your vision with unlimited eye relief. 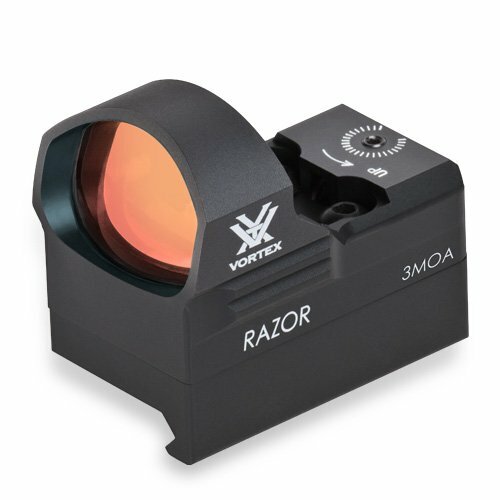 If you want more information about this product, go to http://www.vortexoptics.com/ or call 1-800-426-0048. 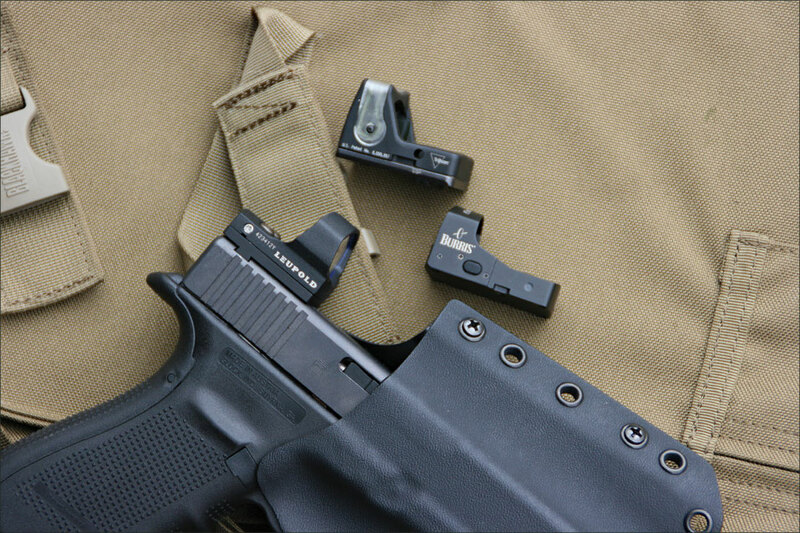 RMR means Ruggedized Miniature Reflex. Trijicon’s RMR is tough, can deal with rough handling, and has optical sights that do the job right every time. These sights come in three flavors of sorts, which include Dual-Illuminated, LED, and Adjustable LED. Meanwhile, the Dual-Illuminated Sight is powered by tritium and works well in conditions with low lighting. Furthermore, it features advanced and dependable fiber optics that can automatically adjust the brightness of your reticle so that it stands in contrast in the darkness or in normal daylight depending on when and where you’re shooting. This is the variant to choose if you want instantaneous shooting results. As for the LED and Adjustable LED models, they’re powered by batteries that last a long, long time. It’s about four years for Adjustable LED and two years for LED, in fact (as opposed to 9,000 hours or more than a year like with the Leupold DeltaPoint 2 batteries). All three types of Trijicon RMR are forged with aircraft-grade aluminum and are battle-tested in the sense that they’ve been in use for military operations and police work, passing their field tests in flying colors and whatnot. The reticle choices for these sights range from 3.25 MOA to 13 MOA. The two LED models has the red dot while the Dual-Illuminated model offers the choice between the chevron aiming point, the green dot, and the amber dot. Adjustable LED is all about illumination settings that you can set manually or you can set to automatically adjust for you. If you want to learn more about this best reflex sight for shotgun, call 1-800-338-0563 or go to http://www.trijicon.com/. Rated 4.4 out of 5 stars from over 77 customers. Click the image for prices and reviews! 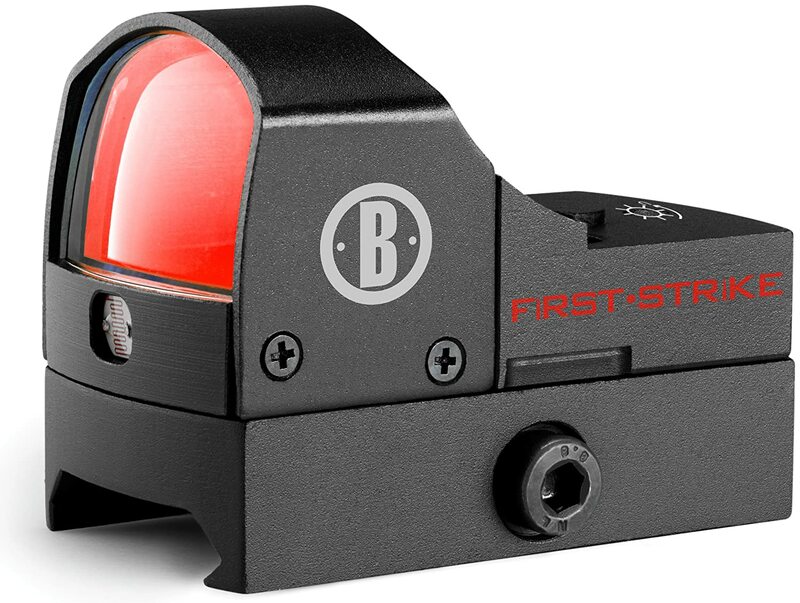 Here are the reasons why Bushnell’s First Strike belongs in this list of topnotch best cheap reflex sights. First off, it’s a lightweight kind of reflex sight that weighs about 2.5 ounces. Also, thank to miniaturization technology, just because it’s small doesn’t mean it lacks impact in terms of features. It packs quite the punch, actually, particularly with its ability to auto-adjust the brightness of its 50-MOA dot reticle to whatever low lighting conditions you might be facing (something that its grandfathers, the World War II era reflex sights, probably lacked). You also don’t need to make special orders for the battery, which is one CR2032. It’s common and you can find them everywhere. Meanwhile, you can turn the unit on automatically through an integrated photocell. Whenever you remove the protective lens cover, it’s already turned on. To turn it off, replace the cover into its slot. It doesn’t have a power switch, which might be an issue for some, but a welcome boon for others since you can get it turned on and off without much input on your part. You can consider the covering as the power switch, which you can easily put into your sights. First Strike is fogproof, waterproof, and shockproof, which are the collective holy trinity of features you want for your optical sights. It can withstand a bit of roughhousing because it’s built with a lightweight alloy that makes it shockproof. If you wish to get more information about the First Strike, go to http://www.bushnell.com/ or call 1-800-423-3537. Rated 3.6 out of 5 stars from over 75 customers. Click the image for prices and reviews! 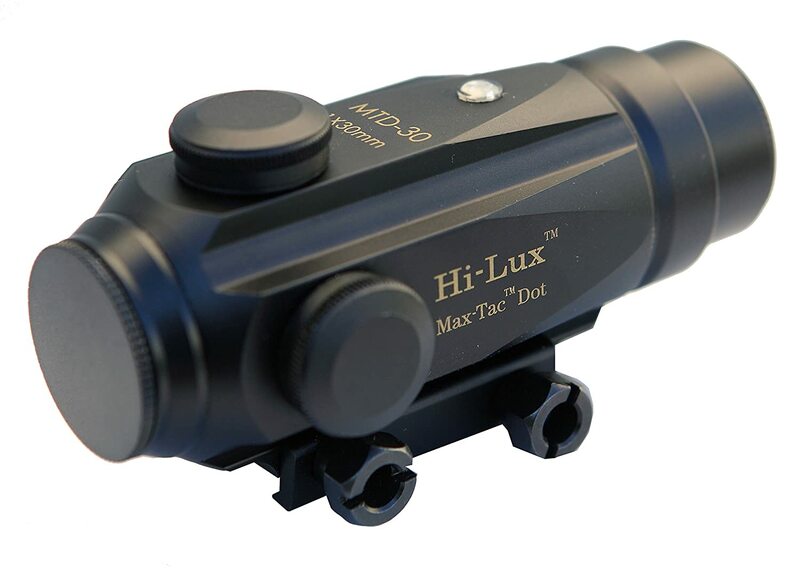 With the Hi-Lux Tac-Dot, you can rest assured of quality offerings like not needing to focus and an unlimited eye relief. The reticle is at infinity and you can see the target pretty clearly as long as you have your gun with you. The sight stays in alignment regardless of where it’s attached to and where your eye position is, thus you’re given a lot more eye relief here compared to, say, a traditional riflescope. What’s more, you don’t have to deal with many of the common sighting errors and adjustments found in other optics and simple sighting devices such as parallax and the like. What you see is what you get, and what you’re getting is a clear look at your target. The red-dot aim point that’s 4 MOA is adjustable to the point that there’s no need to center it in the sight window because the whole thing is parallax free so you have fewer things to worry about when dealing with aiming. Once you zero-in on your target with the Tac-Dot, you’ll hit where the dot is on the target. The whole rig weighs over two ounces so you know that it’s lightweight and not cumbersome in the least. Furthermore, it’s about two inches long and has infinite eye relief. Finally, there’s a light censor included that you can use for brightness control such that depending on the lighting conditions you’re facing, it will accordingly shine brightly and whatnot. If you want more information, just go to http://hi-luxoptics.com/ or call 1-888-445-8912. 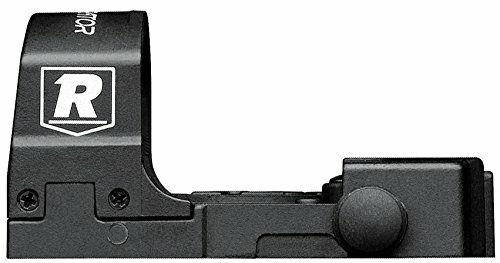 This particular best reflex sight for ar 15 you can depend on because it’s a glass-reinforced kind of sight complete with nylon polymer housing that’s shock-absorbent and tough. What’s more, this sight is quite unique in the reflex sight field in that you’re given two reticle choices: 8 MOA and 4 MOA. This is amazing because you can shift between the two. 8 MOA offers easier to find, brighter, and larger crosshairs with automatic illumination. 4 MOA can help target at a closer range for bigger targets. All around the world, quite a lot of special operations units make use of the JPoint Enterprises Micro-Electronic Reflex Sight (also known as the brand name Shield outside the United States) in conditions like humid jungles and dry, barren desserts. The sight itself is powered by a CR2032 battery (easy to find at any local gun shop or electronics store) plus it is fogproof, waterproof, and shockproof. For extra protection, it’s also shipped with a protective polymer cover. This is one of the most versatile, lightweight, and compact sights you can ever get your hands on. That thing that defines the JPoint Micro-Electronic Reflex Sight as a quality sight is its wide usage all over the globe in terms of law enforcement and military grade usage. If it’s good enough for the men in blue or the soldiers of most any country, then surely it’s good enough for any decent gunman or hunter. 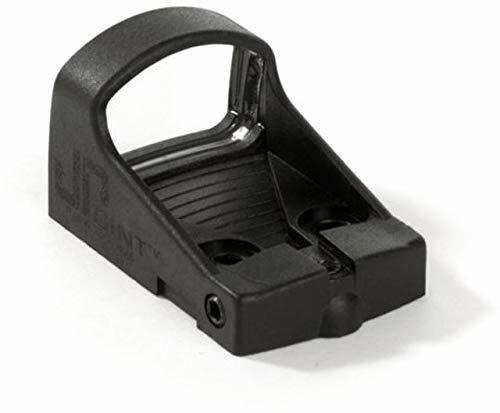 For more info regarding JPoint and its Micro-Electronic Reflex Sight, just visit http://www.jprifles.com/ or call 651-426-9196. Rated 4.1 out of 5 stars from over 8 customers. Click the image for prices and reviews! Expect to get accuracy and speed as well as shockproof and waterproof operation with this Millet M-Pulse TRD2001 reflex sight, plus it’s all done with a footprint that’s less than two inches. The main claim to fame of the TRD2001 is its red-dot reticle that features 5 MOA and automatic adjustment to whatever low or high lighting you might face, such that the reticle is always visible no matter how sunny, cloudy, or dim the area is. 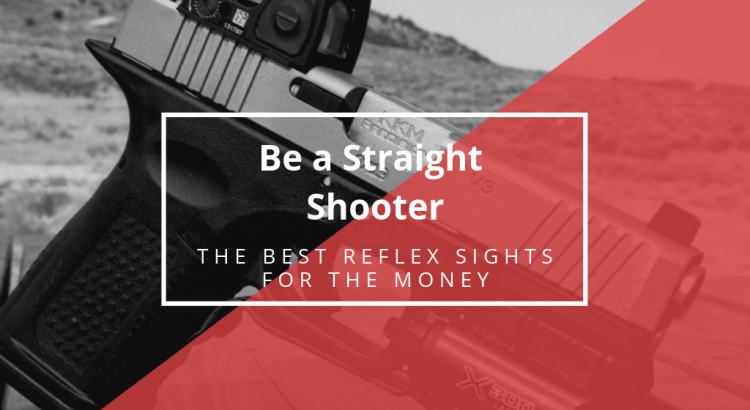 Furthermore, because all of this happens by reflex, you won’t have to fumble with buttons or knows in order to get the best reflex sight for the money to work. Meanwhile, its all-aluminum housing has a matte black finish for a professional look that complements its aircraft-grade toughness. As expected with reflex sights that are worth their salt, this product is free of parallax so you won’t have to adjust anything to ensure a clear image and shot every time with eye relief that won’t restrain you in any way. You can also adjust the elevation and windage accordingly with the sight’s knobs for both. There’s not much of anything bad to say about Millet’s Tactical Series M-Pulse Reflex Sight with 5 MOA Red Dot and Picatinny Riser (Box). It’s compact so it’s perfect for operations involving AR 15 rifles, plus its size won’t be cumbersome for smaller guns like pistols or way different guns like shotguns. It’s a versatile, adaptable, lightweight, and dependable reflective sight through and through. 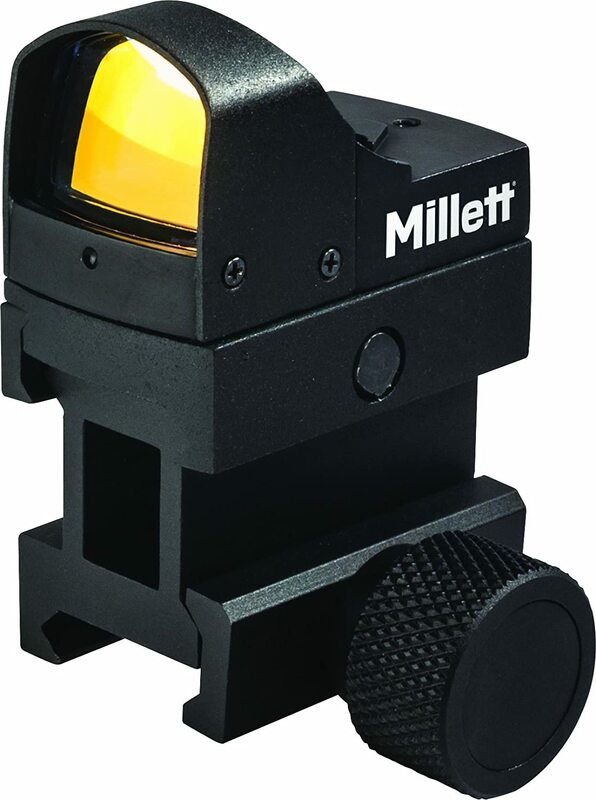 For more info on this best reflex red dot sight, visit http://www.millettsights.com/ or call 1-888-276-5945. Leupold is a trusted name because it’s one of the premier pioneering companies that brought to the world fog-free scopes by sealing inside tubes nitrogen to purge any fog-inducing oxygen inside it. The manufacturer of scopes and sights continues its tradition of excellence with the DeltaPoint 2, which is Leupold’s new generation of reflective sight that utilizes propriety motion-sensor technology on age-old technology that’s been around since WWII and further back. This new tech makes the old tech become modern and beneficial because it detects automatically motion and activates the sight and adjusts the brightness in accordance to your surroundings to make targeting easier. Then there’s the fact that the sight uses a CR2032 battery and manual brightness adjustment if you want to override the automatic one. 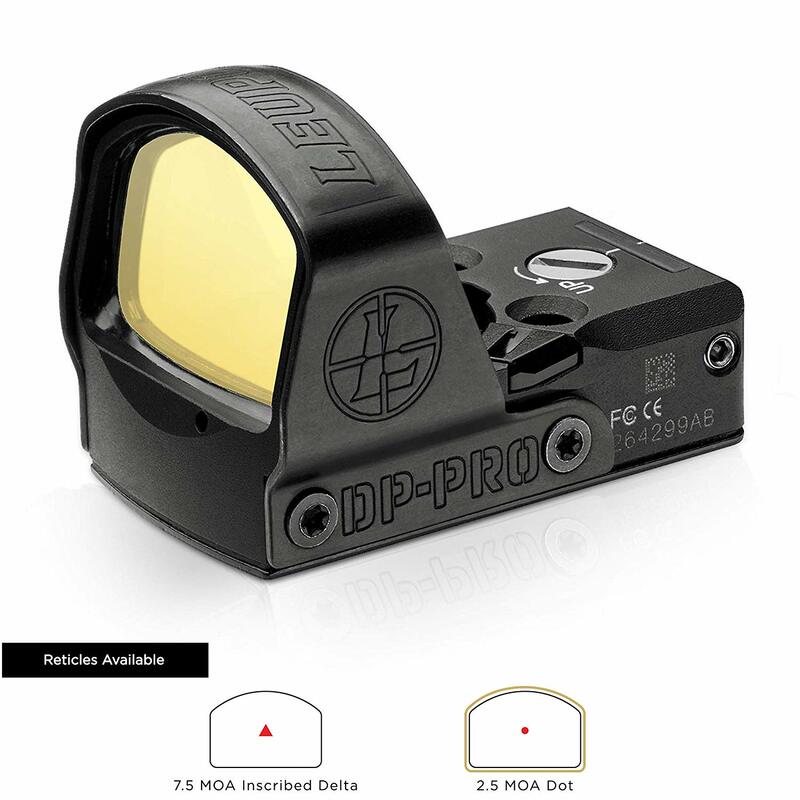 You will never feel blind or unready when you have the Leupold DeltaPoint 2 on hand because this is a battle-tested reflex sight that has proven its mettle in numerous occasions, operations, and encounters. You can put the sight into its lowest power setting to conserve its energy by placing the rubber cover over it. That’s because in order to always be available for use it’s always on until its CR2032 battery runs out. Furthermore, you won’t have to worry about that too much since the battery life lasts a hefty 9,000 hours or more than a whole year until you need to replace it. If you want more information about the DeltaPoint, then give Leupold a call at 1-800-538-7653 or visit http://www.leupold.com/ when you’re surfing online. Rated 4.0 out of 5 stars from over 8 customers. Click the image for prices and reviews! This sounds more like a Sci-Fi laser weapon than a reflex sight, to be honest. However, cool moniker aside, the Redfield Accelerator is named as such not because it has a nice ring to it or it sounds impressive (for marketing purposes). It’s instead named because it accelerates your acquisition of the target. Other sights offer the usual standard specs, but Redfield goes the extra mile by being a low-profile sight with a wide field of view which is important for moving targets that can go out of your sights in the snap of your fingers. The optics of this sight’s window is also impressive and crystal clear, with a red-dot reticle aiming point that somehow completes the whole package and whatnot. 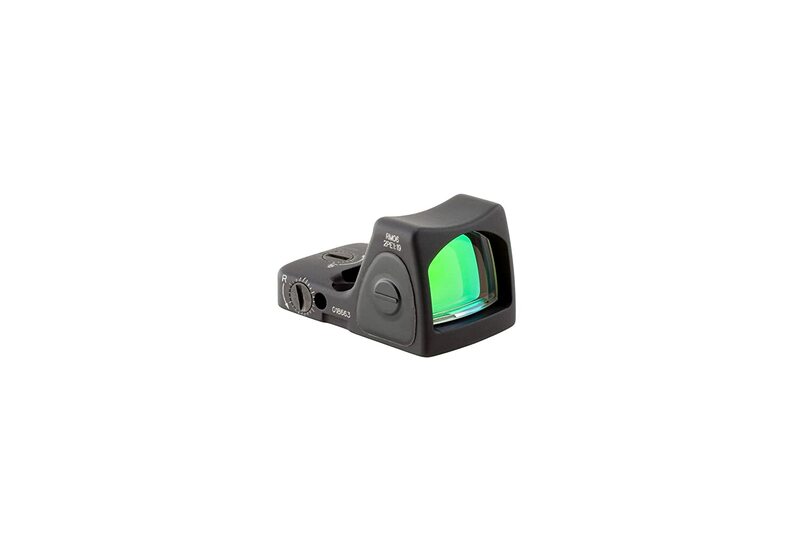 Reflex sights utilize reflectors that enable users to see the field of view and the supposed infinity image simultaneously, which is handy when you’re targeting something. That’s because even if you move your head to the side, the dot and reticle remains on the target. A reflector sight is able to do this by using a mostly clear glass reflector that’s curved or a slanted glass plate that can project the reticle as you look through the reflector. The best propriety reflex sights that you should be on the lookout for are those that are compact, lightweight, and leaves a small “footprint” on your gun (they should never outweigh your gun or make it more cumbersome to use). They might be able to run on tritium, fiber optics, common batteries, or any combination of these three. It all depends on the make and model anyway. Rated 3.1 out of 5 stars from 11 customers. Click the image for prices and reviews! Best reflex sights are fast-action sights that enable you to stay on target better than with traditional sights or even close-range low-magnification sights. This reflex sight uses a small laser to protect an aiming point in a side window (or at least that’s the idea for most modern sights). It’s easy to use too. Just aim the point on your target, get it dead on your sights, and pull the trigger. You won’t have to worry about parallax with this type of optics for sure. The offerings available in this article are all superb, but some might have more drawbacks than others depending on what you need. If you want a sight that has a battery life of more than over a year or 9,000 hours, then go with something else other than the energy-sapping Vortex Razor Red Dot and the Leupold DeltaPoint 2. Some have bigger MOAs than others, so go with the smaller MOAs for smaller targets since it’s more precise. The multiple offerings of Trijicon RMR (LED, Adjustable LED, and Dual-Illuminated sights) offer the longest battery life for the LED series, with two to four years respectively. JPoint Micro-Electronic Reflex Sight is the sight that can deal with rough outdoor handling and Redfield Accelerator is the quick and simplified sight. All the rest, from the Bushnell First Strike to the Millett M-Pulse TRD2001, have their own specs to speak for them.